On April 30, 2018, interim Kentucky Commissioner of Education, Wayne Lewis, recommended that the state take over Jefferson County Public Schools. This means that politicians in Frankfort will be running a local school system, and democratically elected school board members will be stripped of their power, pushed aside into an advisory role. 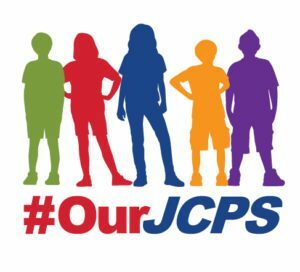 Under state control, JCPS schools could be closed, redesigned, or turned into charter schools run by out-of-state for-profit corporations — all without parents and educators able to give their input. 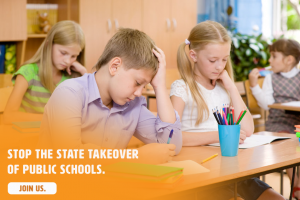 Many are afraid that if Governor Bevin and the State Education Board take over Jefferson County Schools, they will take over other school districts next. Will you help us? Don’t sit on the sidelines. It’s easy to do something! Republican legislators just added an additional roadblock to diagnosing black lung. Now, only seven physicians in the entire state will be legally allowed to diagnose workers–thus allowing them to receive benefits. Read more here.